Keeping up the momentum ever since its groundbreaking reformation two years ago, the 13th edition of Interfiliere Hong Kong has successfully concluded at Kai Tak Cruise Terminal on March 21st, 2019, which once again reinforced its role as a leading trade show in Asia Pacific for lingerie, swimwear and activewear supply chain. “We are happy to gather the whole industry in Asia to create links among the worldwide bodyfashion community. This year, more than ever, we will focus on a greener and more sustainable bodyfashion industry, we will push innovation forward and highlight our young generation of designers, all the key elements for modernity and a better future.” stated Marie-Laure BELLON, CEO of Eurovet, during the show opening ceremony on March 20th, 2019. Angie LAU, the chairlady of Hong Kong Intimate Apparel Industries’ Association (HKIAIA) thereafter emphasized the importance for the industry to connect closely together and expressed HKIAIA’s continued support to Eurovet. Indeed, this highly anticipated edition was well received and proven by visitors’ positive feedbacks and its final figures. The show welcomed more than 1,600 visitors, which gained a year-on-year growth of 5%. The diversified visitorship contributed to a dynamic business driven ambience. Hong Kong continued to top the ranking in the 1st place. The number of Mainland Chinese visitors witnessed a slight drop though maintained in the 2nd place. 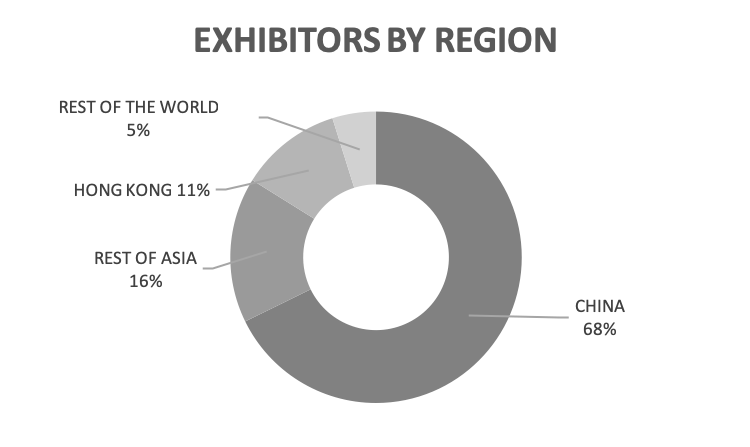 The shuffle of visitors’ demographics, particularly from global perspective, implies the international outreach of the show has been amplified, owing to Interfiliere’s exclusive business network with pure industry players, new initiatives in response to trends, innovation, sustainability and more burning topics, as well as tightened collaborations with industry associations such as HKIAIA, HKPC, HKDI, Hong Kong PolyU and more. Despite the complex contexts of the global economy and politics, the exhibitorship sustained its robustness and prominent quality ensured by the Steering Committee, reflecting a positive industry outlook stimulated by technovation, new industry codes and emerging market. More than 350 preselected samples were displayed in the Gallery which was powered by a Smart Badge Solution, allowing visitors to collect information of each exhibits. 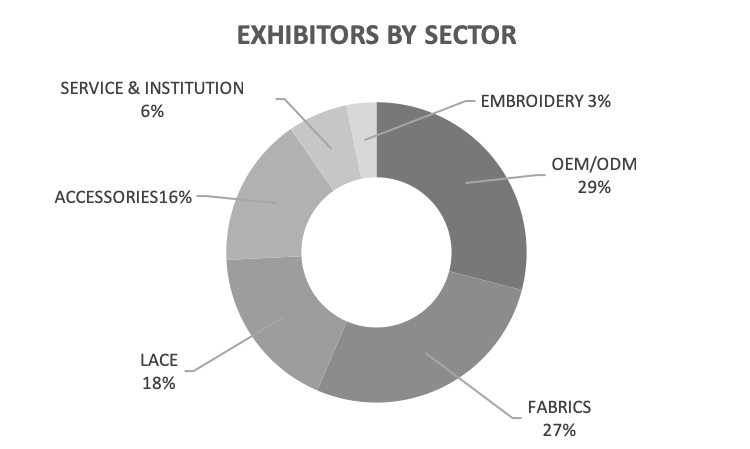 Noticeably, among the overall offerings, 45% of the exhibitors were committed to sustainable solutions and 16% of the exhibitors confirmed their acceptance of low MOQ. Since November 2018, Eurovet has initiated a Public Private Partnership project with Indonesian lingerie industry, under the support of the German Federal Ministry for Economic Cooperation and Development, to promote sustainability and resource efficiency through more circular business processes, reduction of waste, training professionals, students and anchor know-how. With various actions being completed previously, this 2-year project continued its journey to Interfiliere Hong Kong 2019 and the mission has been successfully fulfilled, by working hand in hand with 4 major Indonesian lingerie manufacturers, namely PT KEWALRAM INDONESIA, WSK WINNER SUMBIRI KNITTING FACTORY, PT BUSANAREMAJA AGRACIPTA and PT SINAR PARA TARUNA. Synergizing with a circularity conference conducted by suPPPort Ltd., the participation of the Indonesian exhibitors and a dedicated project area have drawn substantial attention and raised awareness of sustainability and circularity among the attendees. The project participants experienced a 2 days event enriched with full agenda in showcasing know-how, promoting sustainable solutions and exchanging ideas with the industry, which has taken the project one step closer to its commitment to the development of a circular fashion collection. 4 diversified conference tracks welcomed a full house of audiences, gathering a wide range of stakeholders and industry decision makers, to anticipate opportunities and strategies through navigating the emerging markets and consumer behaviors, decode trends and acquire inspirations, challenge the status quo and rethink the supply chain, as well as uncover the latest innovation. Keynote speakers include Christin ZHANG, Business Solution Director of TMALL – ALIBABA GROUP; Matthieu DAVID-EXPERTON, CEO & Founder of DAXUE; and Terence SENFORD, Head of Design – Athleisure of HUGO BOSS, provided exclusive market insights covering lingerie, swimwear and athleisure. trends 2019-2020 through analysis of emerging socio-cultural signs. Marina CHAHBOUNE, Sustainability Specialist of SUPPPORT LTD spotlighted sustainable fashion regarding future fibers & fabrics. 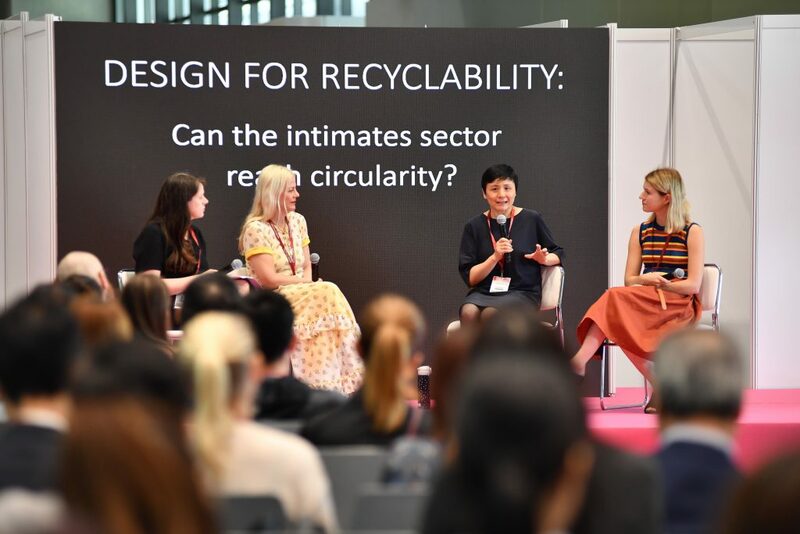 Panel discussion on circularity was moderated by Hannah LANE, Communication & Sponsorship Director of REDRESS, with panelists Sharleen ERNSTER, Founder & CEO of WE ARE HAH; Gloria YAO, Director – Project Development of HKRITA; and Lauren BOUCHER, Circular Fashion Programme Assistant Manager of REDRESS. Jeremy JIANG, International Market Sales Manager of TENGFEI TECHNOLOGY and Gabriel YANG, Co-founder of QIANYU INTELLIGENT TECHNOLOGY, respectively introduced their latest innovation and technology for the lingerie market. 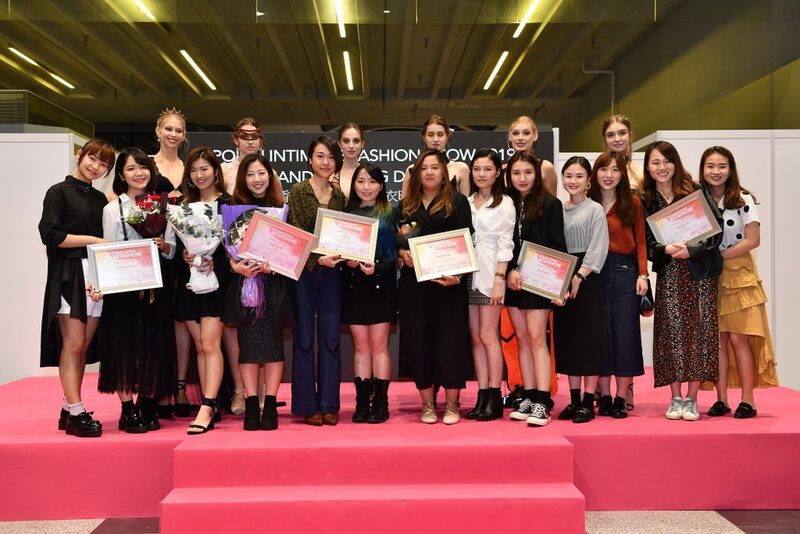 On March 20th, Interfiliere Hong Kong hosted a fashion show dedicated to a group of up-and-coming creative minds in the belief that the new generation of designers will significantly contribute to the future of the bodyfashion industry. 36 original garments were featured in the fashion show, designed and brought to live by 12 selected final year students from the Bachelor of Arts (Honours) degree programme in Fashion and Textiles with Specialism in Intimate Apparel and Activewear at The Hong Kong Polytechnic University (PolyU). A competition among the 12 students’ collections simultaneously took place during the fashion show. In the end, 6 finalists were selected by the Jury comprised of Jos Berry, Founder and Creative Director of Concept Paris, Mon Leung, Head of Creation of Pioneer Elastic, Walter Ma, renowned fashion designer and Vice Chairman of Hong Kong Fashion Designer Association and Anne Mok, President of Luen Thai Holdings. 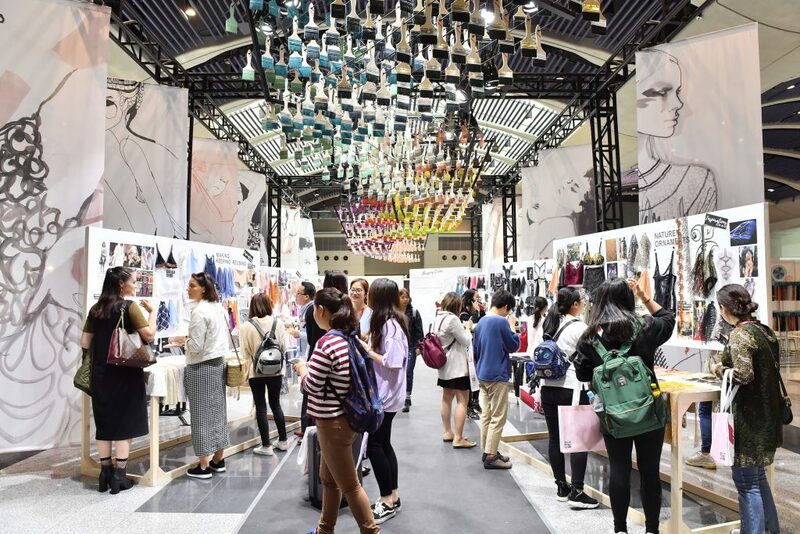 Being an iconic signature of Interfiliere Shows in Paris, Hong Kong, Shanghai and New York, the Creativ’Lab (Trend Forum) curated by Concepts Paris has welcomed its 50th edition in Hong Kong. 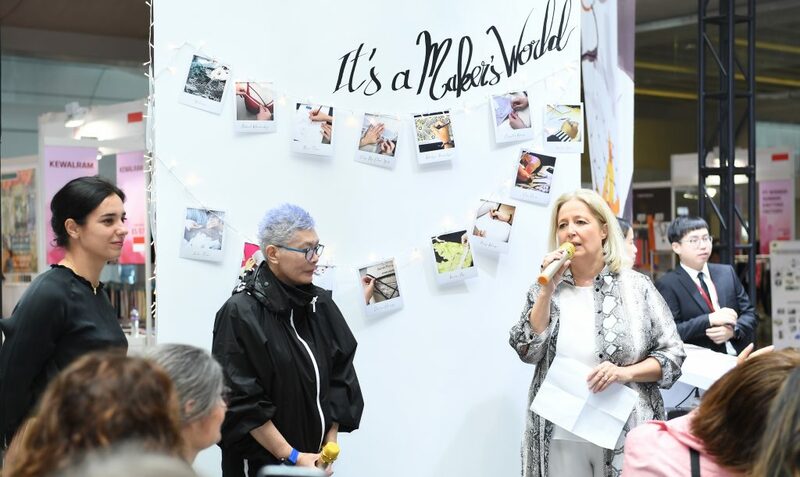 In its 50th edition, the Creativ’ Lab paid special tribute to the ingenuity of designers and R&D teams from the industry, by creating a wall named “A Makers World” with photographs of hands in the process of creation. Inside the lab, 6 storyboards, illustrated with sophisticated products from Interfiliere exhibitors and the hottest shopping from around the world, demonstrated A/W 2020-21 seasonal trends. 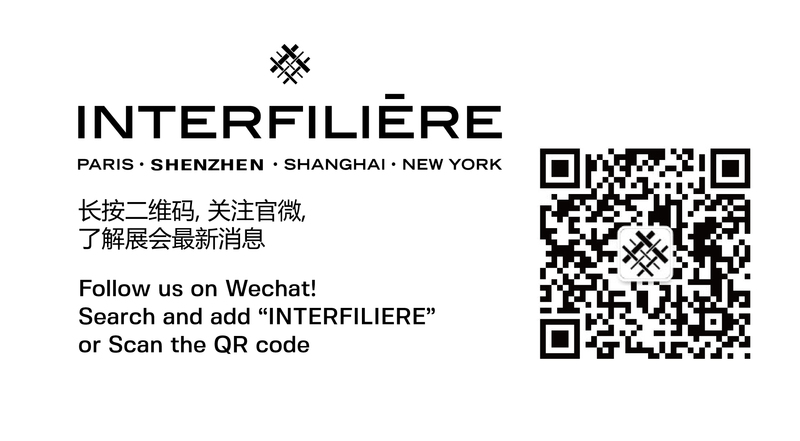 You wish to request an appointment with the brand « Interfiliere Hong Kong 2019 was highly acclaimed by the international bodyfashion industry ».